CATTLE Council of Australia president Howard Smith has sought a meeting with the Labor Party’s Queensland Division after a motion to phase-out livestock exports was endorsed at the ALP State Conference in Brisbane on the weekend. 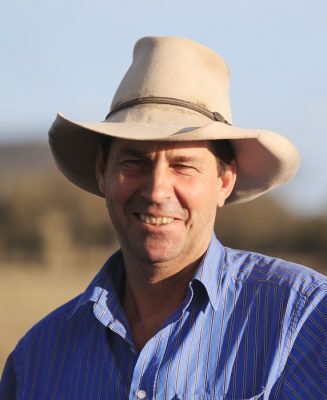 Mr Smith, a cattle producer from Rolleston in Central Queensland, wrote to State Labor President John Battams earlier this week to outline why producers and the wider red meat industry opposes a ban. The letter to Mr Battams, a copy of which has been obtained by Beef Central, said that Queensland Labor’s support to transition out of the live trade by 2030 was “extremely concerning” given the industry is worth more than $300 million annually in Queensland alone. “Cattle Council would be pleased to meet with you to discuss the importance of the livestock export industry for Queensland’s producers and our regional economy,” Mr Smith said. Mr Smith said that while producers respected the fact that Labor members might wish to debate the live trade, a fully informed discussion was vital. “Live export is a major market for producers, providing crucial competition which, in turn, underpins the profitability and long-term viability of cattle businesses, especially in northern regions,” he said. “There are significant difficulties associated with maintaining profitable processing facilities in northern Australia, as demonstrated by the recent closure of the Livingston abattoir near Darwin. The letter, which was also forwarded to Queensland Premier Annastacia Palaszczuk and Federal Labor agriculture spokesman Joel Fitzgibbon, outlined the economic significance of Australian live cattle exports, which are worth more than $1 billion annually. “Townsville is Australia’s second largest port for the export of live cattle, shipping a total of 182,024 cattle in the 2017-18 Financial Year,” the letter read. The letter also pointed out that almost 12,000 cattle were shipped from Brisbane in the 2017-18 FY, servicing a high-value trade with Japanese lot feeders for Wagyu cattle. It also highlighted the Queensland Labor Government’s support for the live cattle trade, including the dredging of the Port of Karumba which enabled the continuation of a small but important trade for local Gulf region cattle, including well-bred productive heifers, to be exported for breeding purposes to SE Asia. “I welcome Premier Palaszczuk’s ongoing, public support for the livestock export industry,” Mr Smith said. Mr Smith said that Federal Labor’s “strong support for live cattle exports” was also valued by producers. “Bipartisan support for an ongoing live cattle export industry which upholds animal welfare standards is in alignment with the views of Australian cattle producers,” he said.